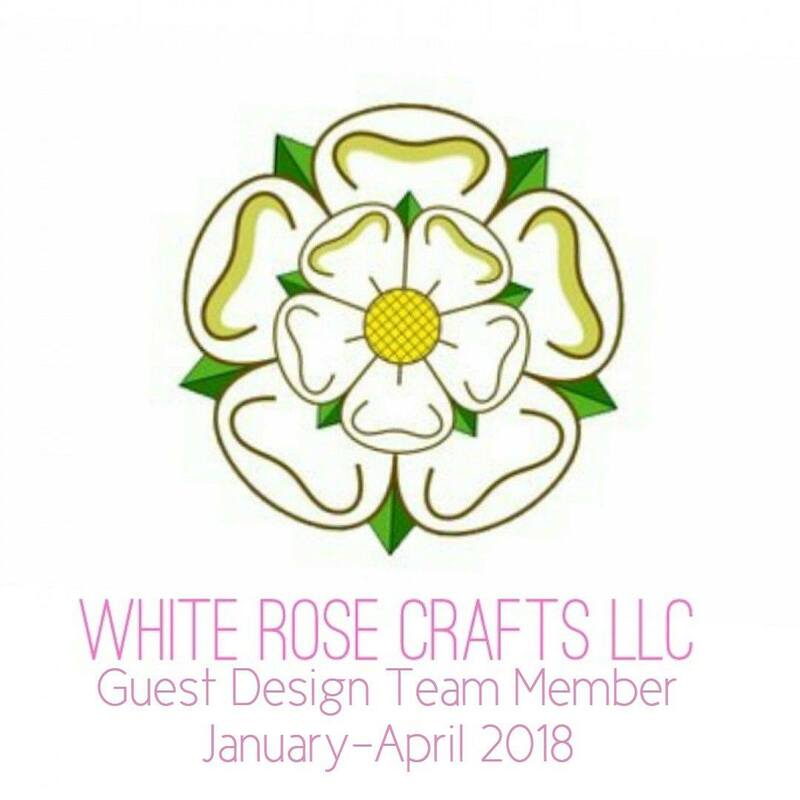 Greetings friends and fellow crafters, LeeAnn here with my first post as a design team member with the Skipping Stones Design Team!!! In making my project today I used the Chocolate Volume #2 stamp set. I was in the mood for chocolate so this one really screamed at me. 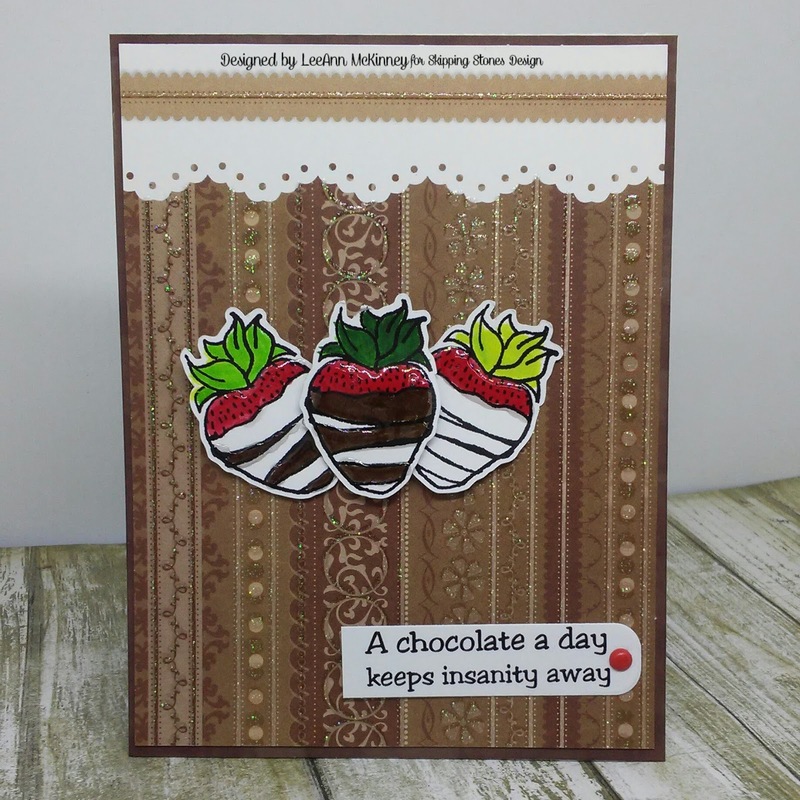 I stamped the strawberry 3 times using Memento Tuxedo Black ink. I then used my Scan n Cut to cut out the image. Using Memento Dual Markers in Rich Cocoa and Ladybug I colored the strawberries leaving them all different, one all White Chocolate, one mostly Dark Chocolate and one swirled. The leaves for the strawberries were then colored from light to dark based on the same. The background is from a DCWV paperpack called Sweet Stack. I was drawn to this as it just exudes different colors of chocolate in my opinion. I used a white cardbase made from Recollections 110 lb cardstock and inked the edges with my Memento Rich Cocoa dew drop. This is an A2 card base. My topper layer is cut to 4" x 5.25". The sentiment tag is attached using a red brad. The strawberries on the right and left are attached with Tear It! Tape. The one in the center is attached using foam adhesive. My final step was to use Clear irRESISTible to color the Dark Chocolate and Strawberry caps to give that added element of pop. I hope you have enjoyed my project today. Please be sure to hop along and see the rest of the teams projects. Love this card and the stamp set....wait I need to say I love chocolate toooo... lol... great card. So sweet! 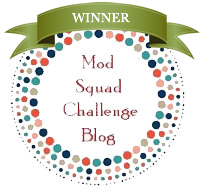 Love the card and your coloring! Congratulations on your new Design Team position! Your card is adorable! I would love to have some chocolate now!! Yummy Card!! I love those Strawberries!! So glad to be on the team with you! !